Beauvais, 1986. Oil on canvas, diptych. 110.25 x 157.5 inches (280.04 x 400.05 cm). Collection Fondation Louis Vuitton, Paris. © Estate of Joan Mitchell. The new installation from the collection of Fondation Louis Vuitton includes a room devoted to Joan Mitchell, exhibiting eight of Mitchell's works from their collection. From Fondation Louis Vuitton: "The Fondation Louis Vuitton displays a new selection of 70 works from the collection and gathers 23 international artists from the 1960s to the present day around one main theme: painting." Read more. Organized in partnership with the Art Gallery of Ontario (AGO) and Musée national des beaux-arts du Québec, supported by the Estate of Jean-Paul Riopelle in Montréal and the Joan Mitchell Foundation in New York, the exhibition will focus mainly on large-format paintings from French, Canadian and American private and museum collections. The presentation will explore how the two artists, who shared their lives for nearly 25 years, in Paris, then in Vétheuil in the Seine valley, developed a workshop practice and a distinctive body of work while sustaining a broad dialogue focusing on abstraction. Read more. Joan Mitchell, Slate, 1959. Oil on canvas, 77 x 74 inches (195.6 x 188 cm), JPMorgan Chase Art Collection, © Estate of Joan Mitchell. Cheim & Read announces its next exhibition, Joan Mitchell: Paintings from the Middle of the Last Century, 1953–1962, which explores a crucial decade in the artist’s early career. It is the ninth solo show that the gallery has devoted to Mitchell’s paintings and drawings, and the nineteenth to include her work overall. The exhibition will open on September 6, 2018, and run through November 3. Read more. Organized in partnership with the Musée national des beaux-arts du Québec, supported by the Estate of Jean-Paul Riopelle in Montréal and the Joan Mitchell Foundation in New York, the exhibition will focus mainly on large-format paintings from French, Canadian and American private and museum collections. The presentation will explore how the two artists, who shared their lives for nearly 25 years, in Paris, then in Vétheuil in the Seine valley, developed a workshop practice and a distinctive body of work while sustaining a broad dialogue focusing on abstraction. Read more. Organized in partnership with the Art Gallery of Ontario (AGO), supported by the Estate of Jean-Paul Riopelle in Montréal and the Joan Mitchell Foundation in New York, the exhibition will focus mainly on large-format paintings from French, Canadian and American private and museum collections. The presentation will explore how the two artists, who shared their lives for nearly 25 years, in Paris, then in Vétheuil in the Seine valley, developed a workshop practice and a distinctive body of work while sustaining a broad dialogue focusing on abstraction. Read more. Joan Mitchell, Ladybug, 1957. Oil on canvas, 6' 5 7/8" x 9' (197.9 x 274 cm). The Museum of Modern Art, New York. Purchase. © Estate of Joan Mitchell. "Making Space shines a spotlight on the stunning achievements of women artists between the end of World War II (1945) and the start of the Feminist movement (around 1968). In the postwar era, societal shifts made it possible for larger numbers of women to work professionally as artists, yet their work was often dismissed in the male dominated art world, and few support networks existed for them. Abstraction dominated artistic practice during these years, as many artists working in the aftermath of World War II sought an international language that might transcend national and regional narratives—and for women artists, additionally, those relating to gender." Read more. Untitled, 1992. Pastel on paper, 29 1/2 x 21 3/4 inches (74.9 x 55.2 cm). Collection of the Joan Mitchell Foundation, New York. © Estate of Joan Mitchell. We are pleased to announce Joan Mitchell: Drawing into Painting, a survey of works on canvas and paper from 1958 through 1992, the year of the artist’s death. The exhibition, which will open on October 27, 2016, and run through December 31, will be accompanied by a catalogue featuring an essay by Mark Rosenthal. Read more. Cercando un Ago, 1957. Oil on canvas, 94 1/4 x 87 5/8 inches (239.4 x 222.6 cm). Collection of the Joan Mitchell Foundation, New York. © Estate of Joan Mitchell. The groundbreaking exhibition Women of Abstract Expressionism will celebrate the often unknown female artists of this mid-twentieth-century art movement. More than 50 major paintings will be on view by artists working on the East and West Coasts during the 1940s and '50s: Mary Abbott, Jay DeFeo, Perle Fine, Helen Frankenthaler, Sonia Gechtoff, Judith Godwin, Grace Hartigan, Elaine de Kooning, Lee Krasner, Joan Mitchell, Deborah Remington, and Ethel Schwabacher. This will be the first presentation of works by these female artists together at one time. Read more. Un Jardin pour Audrey, 1975. Oil on canvas, diptych. 99.5 x 141.75 inches (252.73 x 360.05 cm). Private collection. © Estate of Joan Mitchell. 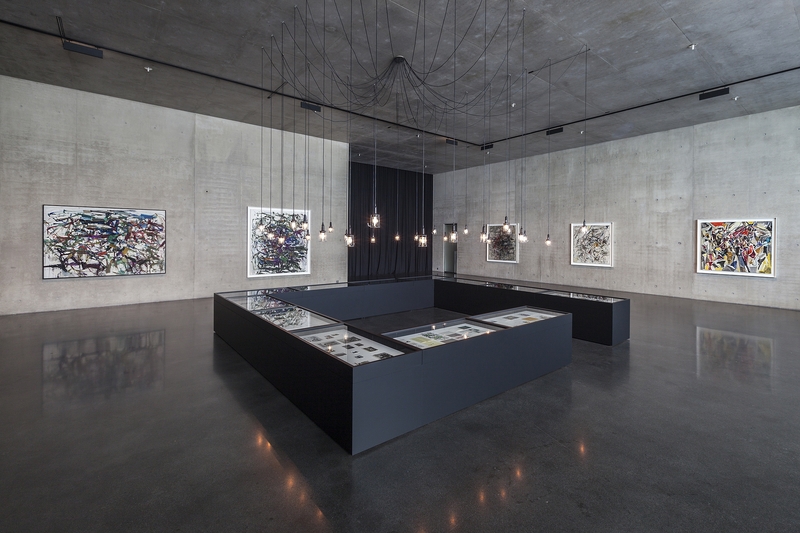 Museum Ludwig, Cologne, Germany: The Museum Ludwig is presenting a major retrospective of the legendary artist Joan Mitchell (1925–1992). The show focuses on her painting, ranging from early works from the 1950s to her later work during the final years of her life. Mitchell’s work is placed within the art-historical context of the period following Abstract Expressionism or in the milieu of the New York School. With some thirty paintings, some of which are very large-format and span several panels, the show at the Museum Ludwig presents one of the most important figures in twentieth-century art. Read more. 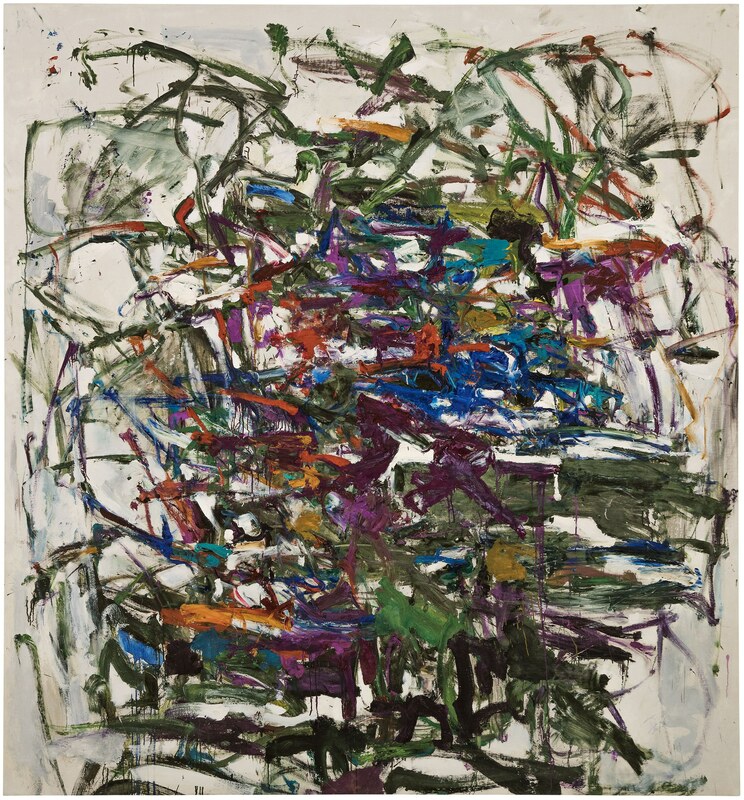 Kunsthaus Bregenz, Austria: Together with the Museum Ludwig in Cologne and in cooperation with the Joan Mitchell Foundation in New York, Kunsthaus Bregenz will be presenting a large-scale survey exhibition, in 2015, of the legendary artist Joan Mitchell (1925–1992). The show’s focus is on her painting – ranging from the early work of the 1950s to the late work of her last years. In terms of art history, her œuvre will be located within developments subsequent to Abstract Expressionism, that is the milieu of the New York School. Comprising nearly thirty pictures, including many largeformat, multi-part works, the show at Kunsthaus Bregenz will be a presentation of one of 20th century art’s most significant protagonists. Read more.